Ans: Islam is not a new religion, but the same truth that God revealed through all His prophets to every people. For a fifth of the world’s population, Islam is both a religion and a complete way of life. Muslims follow a religion of peace, mercy, and forgiveness, and the majority has nothing to do with the extremely grave events, which have come to be associated with their faith. 2. What does Islam mean? Ans: The Arabic word Islam simply means ‘submission’, and derives from a word meaning ‘peace’. In a religious context it means complete submission to the will of God. ‘Mohammedanism’ is thus a misnomer because it suggests that Muslims worship Muhammad (peace be upon him) rather than God. ‘Allah’ is the Arabic name for God, which is used by Arab Muslims and Christians alike. 3. How do we know Islam is the truth? Ans: 1- It is the only religion that holds Allah as One, Unique, and Perfect. 2- It is the only religion that believes in the sole worship of Allah, not Jesus, not an idol, and not an angel, only Allah. 3- The Quran does not contain contradictions. 4- The Quran contains scientific facts, which are 1300 years ahead of their time. The Quran, while revealed 1400 years ago contains scientific facts, which are only now being discovered. It is not in contradiction to science. 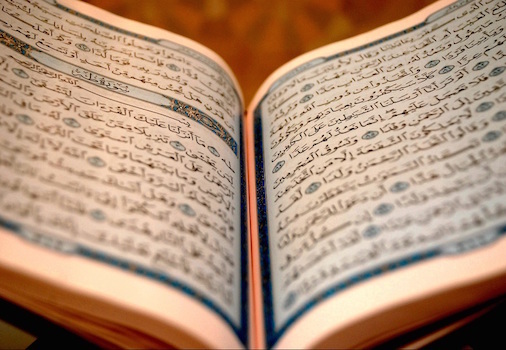 5- Allah has challenged the world to produce the like of the Quran. And He says they won’t be able to. 6- Prophet Muhammad (peace be upon him) was the most influential man in history. In the book "The 100 most influential men in History”, written by non-Muslim, the Prophet Muhammad (peace be upon him) was #1. Prophet Jesus (peace be upon him) was #3. It should be noted that even the Prophet Jesus (peace be upon him) was a prophet sent by Allah. Would Allah allow a false prophet to be so successful? No. Even the Bible refers to this in Deuteronomy 18:19. A false prophet would die!!! Yet Prophet Muhammad (peace be upon him) did not die till he completely conveyed, and taught Allah’s religion. 7- He had many prophecies, and all of his prophecies have come true, or are still coming true. 4. Why does Islam often seem strange? 5. Do Islam and Christianity have different origins? Ans: Together with Judaism, they go back to the prophet and patriarch Abraham, and their three prophets are directly descended from his sons-Muhammad (peace be upon him) from the eldest, Ishmael, and Moses and Jesus, from Isaac. Abraham established the settlement, which today is the city of Makkah, and built the Kabah towards which all Muslims turn when they pray. Ans: One billion people form a vast range of races, nationalities and cultures across the globe, from the southern Philippines to Nigeria, are united by their common Islamic faith. About 18% live in the Arab world; the world’s largest Muslim community is in Indonesia; substantial parts of Asia and most of Africa are Muslim, while significant minorities are also to be found in the Soviet Union, China, North and South America, and Europe. 7. What do Muslims believe? Ans: Muslims believe in One, Unique, Incomparable God in the Angels created by Him, in the prophets through whom His revelations were brought to mankind; in God’s complete authority over human destiny and in life after death. Muslims believe in a chain of prophets starting with Adam and including Noah, Abraham, Ishmael, Isaac, Jacob, Joseph, Job, Moses, Aaron, David, Solomon, Elias, Jonah, John the Baptist and Jesus, (peace be upon them). But God’s final message to man, a reconfirmation of the eternal message and a summing-up of all that has gone before was revealed to the Prophet Muhammad (peace be upon him) through Gabriel. Ans: Allah means God. It is a personal name, which Allah calls Himself in the Quran. That is where it originates. It can also be found in an Aramaic copy of the Bible, and even Christian Arabs say Allah. 9. Does Allah look like us? Ans: No, Allah is perfect. He is not like any of His creations. He has told us that He has hands, eyes, a face, and feet, but all of these attributes are befitting to His might and glory. A Muslim does not say a single thing about Allah other than what Allah says about Himself. Allah is Perfect and Unique. 10. What does it mean to believe in Allah? Ans: To believe in Allah means to believe in total perfection, and uniqueness. It means to believe in His prophets because they are His, and He sent them. We can not pick and choose. A Muslim must believe in all the prophets of Allah. It means to believe in the Angels! We must love them all. We cannot hate an Angel say, for example, Michael to whom rain and the vegetation of the Earth are attributed or Gabriel to whom revelation (bringing down the scriptures to the prophets) is attributed. It means to believe in Allah’s predestination of good and bad. It means to believe in the last day: The day of Judgment. 11. Can we see Allah? Ans: Allah is not like the sun. Anyone can see the sun. But Allah is the most beautiful. Nothing is as beautiful as Allah. Actually looking at Allah is the greatest pleasure of the people in Paradise. This pleasure Allah does not give anyone but the believers. 12. Does Allah see us? Ans: Allah sees us and knows everything about us. He knows us better than we know ourselves. There is not a leaf on a tree that blows away, or stays in its place except that He knows it. There is not a dry spot, nor a wet spot, nor a grain in the depths of the earth except that Allah knows it. 13. Does Allah answer my prayers? 1- Getting what we ask for! 2- Getting something as good or better! 3- Being spared something bad that would have happened otherwise. 4- Being rewarded on the day of Judgment with a much greater reward than what we were asking for on earth. 14. When does Allah not answer our prayers? Ans: 1- When it is bad for us! 2- When we ask, but not from our heart! 3- When we say: I asked and asked and He did not answer. 4- When we eat or drink unlawful food i.e. pork, wear unlawful clothes or use or posses property that was earned either through interest from the bank or that was stolen. 15. What can I ask of Allah? Ans: Any thing, but don’t ask Him to do things like make you a prophet because He has already said that there will be no more prophets. You can ask Allah for guidance, meaning you can ask Him to show you the correct religion. 16. Who is Muhammad (peace be upon him)? Ans: Muhammad (peace be upon him) was born in Makkah in the year 571 A.D., at a time when Christianity was not yet fully established in Europe. Since his father died before his birth and his mother shortly afterwards, so he was raised by his uncle from the respected tribe of Quraish. As he grew up, he became known for his truthfulness, generosity and sincerity so much that he was sought after for his ability to arbitrate in disputes. The historians describe him as calm and meditative. Muhammad (peace be upon him) was of a deeply religious nature, and had long detested the decadence of his society. It became his habit to meditate from time to time in the Cave of Hira near the summit of Jabal al-Nur, the Mountain of Light near Makkah. 17. How did Muhammad (peace be upon him) become a prophet and a messenger of God? Ans: At the age of 40, while engaged in a meditative retreat, Muhammad (peace be upon him) received his first revelation from God through the Angel Gabriel. This revelation, which continued for twenty-three years, is known as the Quran. As soon as he began to recite the words he heard from Gabriel, and to preach the truth that God had revealed to him, he and his small group of followers suffered bitter persecution, which grew so fierce that in the year 622 God gave them the command to emigrate. This event, the Hijrah, ‘migration’, in which they left Makkah for the city of Madinah some 260 miles to the north, marks the beginning of the Muslim calendar. After several years, the Prophet (peace be upon him) and his followers were able to return to Makkah, where they forgave their enemies and established Islam definitively. Before the Prophet (peace be upon him) died at the age of 63, the greater part of Arabia was Muslim, and within a century of his death Islam had spread to Spain in the West and as Far East as China. 18. What is the Quran? Ans: The Quran is a record of the exact words revealed by God through the Angel Gabriel to the Prophet Muhammad (peace be upon him). It was memorized by Muhammad (peace be upon him) and then dictated to his companions, and written down by scribes, who crosschecked it during his lifetime. Not one word of its 114 Surahs, has been changed over the centuries, so that the Quran is in every detail the unique and miraculous text which was revealed to Muhammad (peace be upon him) fourteen centuries ago. 19. What is the Quran about? Ans: The Quran, the last revealed Word of God, is the prime source of every Muslim’s faith and practice. It deals with all the subjects which concern us as human beings: wisdom, doctrine, worship, and law, but its basic theme is the relationship between God and His creatures. At the same time, it provides guidelines for a just society, proper human conduct and an equitable economic system. 20. Are there any other sacred sources? Ans: Yes, the Sunnah, the practice and example of the Prophet (peace be upon him), is the second authority for Muslims. A Hadith is a reliably transmitted report of what the Prophet (peace be upon him) said, did, or approved. Belief in the Sunnah is part of the Islamic faith. 21. Who is Jesus to us? Ans: Jesus (peace be upon him) is a true prophet, sent by Allah like Moses, Abraham, Lot, Noah, Jonah, Joseph, etc (peace be upon them). 22. Who were the parents of Jesus (peace be upon him)? Ans: Jesus is the son of Virgin Mary and he had no father. Allah created Jesus. 23. Can Jesus (peace be upon him), or Muhammad (peace be upon him) be worshipped? Ans: No, Allah does not accept that a prophet, a person, an angel, a cow, a stone, or anything be worshipped in place of Him or even along with Him. Worship must be to Allah, the Creator of them. 24. Is Allah the same as what Christians call "the father”? 25. Is there a trinity in Islam? Ans: No. Allah is one and perfect. 26. Can anyone become a Muslim? 1- To bear witness that no one deserves to be worshiped except Allah. 2- To bear witness that Prophet Muhammad (peace be upon him) is the Messenger of Allah. This makes a person Muslim. But it should be said in Arabic. Next a person takes a shower and s/he is a Muslim. 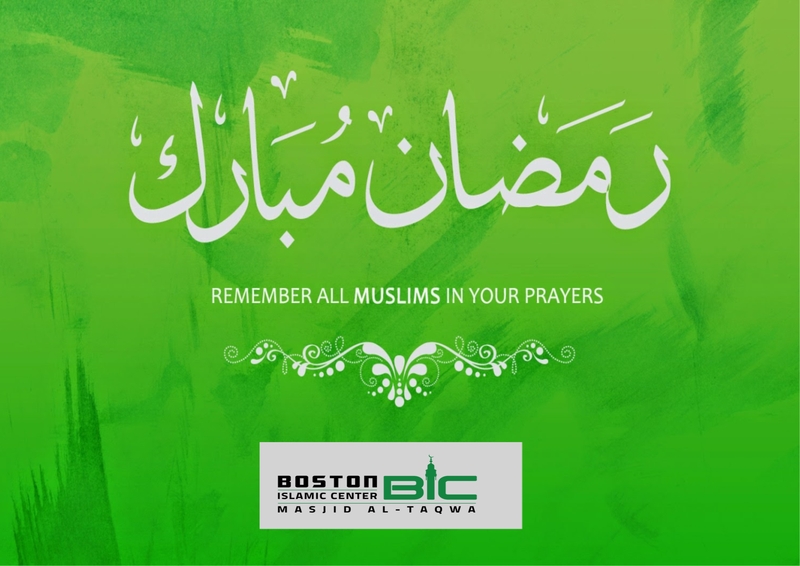 After a person becomes Muslim s/he is taught about prayers, fasting, alms to the poor, and pilgrimage. These are the pillars of Islam. Muslims are brothers and sisters. A Muslim should love for his brother or sister what s/he loves for him/herself. Allah’s wealth does not run out and Allah can provide for us all. We pray for each other, and love each other, and love for our brothers and sisters what we love for ourselves. 27. What about someone who has never heard of Islam? Ans: Allah is the most just. It is inconceivable to perceive of anyone acting with more beneficence than Allah. Allah is the most just and in the Quran He said: "We will not punish without sending someone to warn you”. The "We” here is the majestic we used in Arabic. So if a person never heard about Islam, and was never warned clearly, Allah would have a special test for that person that He knows is equal to the chance that person would have had on earth. 28. When is the Day of Judgment? 29. Are there signs for the day of Judgment? Ans: Plenty, plenty, plenty. Many have already occurred. *Objects will begin to talk. *There will be much killing. The killer won’t know why he killed, and the person that was killed won’t know why he was killed. *Prophet Jesus (peace be upon him) son of Mary will return. *Gog and Magog will be set free. 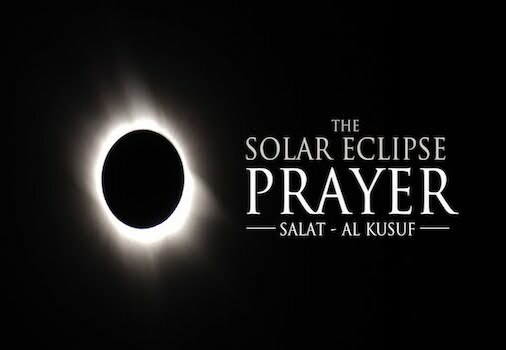 The sun will rise from the west (after this sign there can be no more repentance). 30. What is it that keeps us from entering Heaven? Ans: Worship of anyone other than Allah is the greatest sin. It is called shirk, and this is not forgiven except through repentance. 31. What about non-Muslims do; they go to heaven? Ans: Allah only accepts Islam. He says in the Quran: "Whoever seeks a religion other than Islam it won’t be accepted of him, and he will be one of the losers in the hereafter”. I would rather lose anywhere, but not lose in the hereafter. This is because hellfire is eternal. It never ends and we never die when we go there, if we go there. 32. Do we believe that Allah created the heavens and earth in 6 days? 33. Do we have free will? Ans: Yes, of course. Allah does not punish us for something we did not do on our own. But at the same time, our will is not inspired of Allah’s will. We cannot do anything if Allah does not allow it. In other words nothing goes on in Allah’s kingdom without His will. 34. Did Allah create evil? Ans: Yes, Allah created the good and the bad. Whatever bad happens to us is due to our sins. We sin and Allah pardons much of what we do; however, when something bad happens to us it is our fault, and we are to blame. Bad things that happen to a person are a chance for that person to reflect and ask: "Why is this happening to me?” A chance for a person to return from his sin and obey and worship Allah. 35. Who are my best friends? Ans: Your best friends are the ones that care where you go after you are dead. This is how the prophets acted. They cared that we go to heaven, even if it meant some hardship on earth. 36. Who is my worst enemy? Ans: That would be the devils, whether they are human devils (evil people), or Jinn devils (like Iblis). The Arabic word for a devil is Shaytan (similar to Satan). Satan wants us all to go to hell. He wants us to be bad on earth. Whether we get rich or do lots of wrong things that we appear to enjoy, he does not care that, but he wants to make sure we don’t go to heaven. 37. Do bad things happen to the believers (good people)? Ans: Yes, they do. But they appear bad to the believers because they are things people don’t like. Who likes breaking a leg? However, when a bad thing happens to a believer this believer is patient. He praises Allah in all circumstances. He knows Allah does not decree something unless it is for his own good. 38. Why is the family so important to Muslims? Ans: The family is the foundation of Islamic society. The peace and security offered by a stable family unit is greatly valued, and seen as essential for the spiritual growth of its members. A harmonious social order is created by the existence of extended families; children are treasured, and rarely leave home until the time they marry. 40. What is the Kabah? Ans: The Kabah is the place of worship, which God commanded Abraham and Ishmael to build over four thousand years ago. The building was constructed of stone on what many believe was the original site of a sanctuary established by Adam. God commanded Abraham to summon all mankind to visit this place, and when pilgrims go there today they say ‘At Thy service, O Lord’, in response to Abraham’s summons. 41. Who are amongst the people that must fast in the blessed month of Ramadan and those that are not obliged to fast in this month? Ans: Those who must fast: All mature and sane Muslims, male and female. Those who are exempted: The sick, the travelers, too old to fast, women in child birth, women with periods, pregnant women whose health is endangered, breast feeding women whose health is endangered. 42. What facts about the month of Ramadan have been related by Hadith in regards to what takes place related to heaven and hell? Ans: The gates of heaven are opened and the gates of hell are shut. 43. What is one of the Sunnahs when a Muslim, for a valid reason cannot keep fast? Ans: Not to eat in the presence of a fasting person. Repay it by fasting the number of days missed after Ramadan or give kafaarah equal to the amount of one Sadaqa tul Fitr in charity to the poor for each day missed. 44. 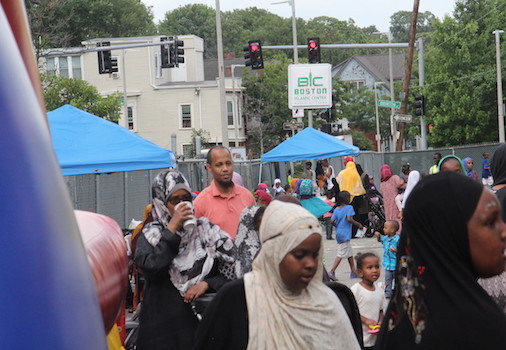 What connection does the Holy Quran and the blessed month of Ramadan have that makes the month very important and sacred? Ans: The Holy Quran was revealed in Ramadan. 45. It is said that the odor of a fasting Muslim is more fragrant to Allah Subhanahu wa Ta`ala than what? 46. Is it a requirement to enter Masjid Haram from the Baab as-Salaam entrance? Ans: There is no such requirement. You can enter from any of the many gates. 47. Can I smoke when I’m in Ihram? Ans: Try to give up this habit for the good of your health and the well-being of your family. Many chain smokers have returned from the Hajj as non-smokers for good. Alhamdulillah. 48. When I stone the Jamaraat, is it necessary to hit the target? Ans: It is acceptable if the stone falls into the circle without hitting the target. 49. Can I perform Hajj every year? A: There are numerous things you can do to walk in the way of Allah. Consider contributing your Hajj trip funds to uplift downtrodden Muslims. B: With nearly 3 million people converging in The Holy Land to perform the Hajj, the Saudi authorities have understandably imposed Hajj quotas. Have a heart for those waiting in line to perform the Hajj for the first time. Allow a reasonable time gap before going to perform the Hajj again. 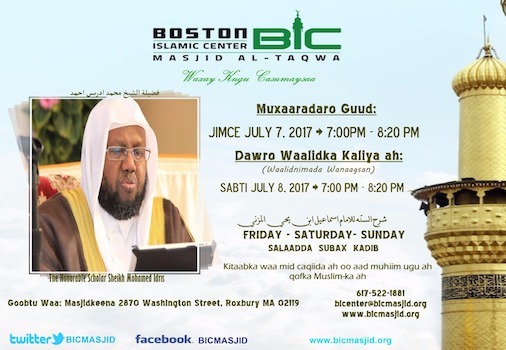 Copyright © 2001 - 2019 Boston Islamic Center All Rights Reserved.